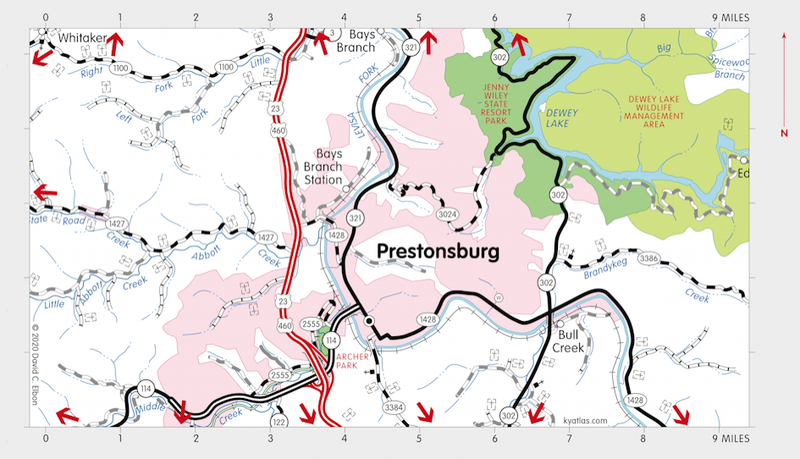 Prestonsburg, the seat of Floyd county, is located on the Levisa Fork of the Big Sandy River. It was founded in 1797 and was originally known as Preston's Station, for John Preston. It was renamed Prestonsburg in 1799 when it was made the seat of the newly formed Floyd county. Prestonsburg was incorporated in 1867. The first post office opened in 1816 as Floyd Court House. The population in 2010 was 3,255. 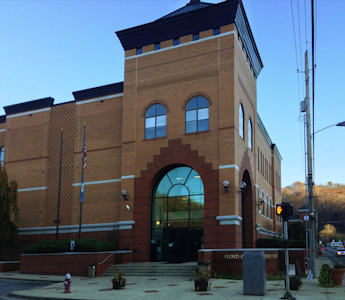 The Floyd County Justice Center in Prestonsburg. Prestonsburg is the home of the Prestonsburg campus of Big Sandy Community and Technical College (originally Prestonsburg Community College). Also located in Prestonsburg is the May House. Built in 1817, it is the oldest brick house in the Big Sandy valley and is currently being restored.